Andres Velasco is a senior in the International Baccalaureate (IB) program at Gables. 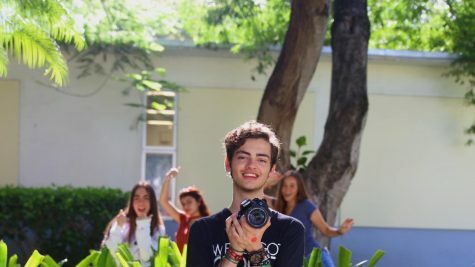 During his final year in CavsConnect, he hopes to not only improve his photography skills but also help the rest of the photographers as he takes on the role of Multi-Media editor. Described by his friends as funny, spontaneous, sarcastic and aesthetically pleasing, Andres is an England aficionado; he hopes to live there at some point in his life. Andres is an avid member of both International Baccalaureate Honor Society (IBHS) and Future Business Leaders of America (FBLA). Outside of school, he is the President for The Museum Project, where he also takes pictures. In his free time, Andres enjoys playing with dogs, watching comedy specials, and taking pictures of his friends. His philosophy, for both life and photography, is that there is beauty everywhere but it just needs to be found. Andres is excited about the countless unforgettable memories he will be making this 2018-2019 school year.